A strange title for my first post, but as some will know there is a reason as to why we have a very large store of dehydrated food. As we were planning for a long distance hiking trip before Dan got poorly (and we had to switch wheels for feet), I had started to prepare our food for the proposed hiking trip whilst still living in Durham. 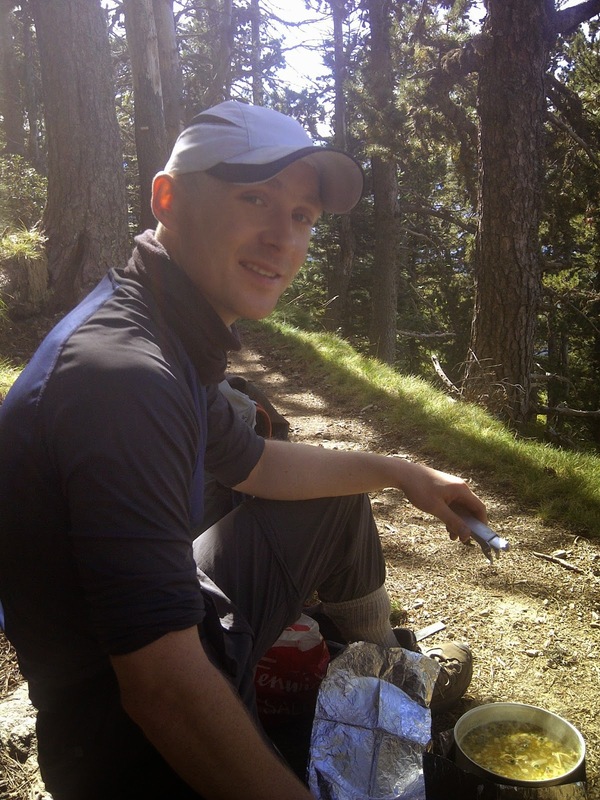 When we had gone hiking in the Pyranees last September we first trialled using dehydrated food. We'd read a lot about saving pack weight this way from our walking magazines and were keen to try it. It worked really well. One pot, add some water, let it hydrate and then cook for 10-20mins (depending on altitude we discovered) to let it thicken, maybe add some additional noodles or quick cook pasta and a hot meal with relatively high number of calories at the end of a long days hike, made for two very happy campers. However, we felt that shop bought dehydrated food had a couple of problems. Firstly it was very expensive and there are two of us. In outdoor shops each meal per person could be up to £5 (although we did find slightly cheaper alternatives online if you bought in bulk). Secondly, there didn't seem that much variety in the meals on offer, particularly if like us you didn't fancy the rehydrated meat option. We don't try and label ourselves as vegetarians, we do eat meat in our diet but rehydrated chicken or mince bits didn't seem that appealing to us, but that's just our preference. So we found that on offer, without spending a fortune, was only really minestrone or pasta with a cheese or tomato sauce. Thirdly, again not that we try and be too picky with what's in our food, but when you read the labels, there's quite a few ingredients which you can't pronounce the name of and when you're planning for a long period of time, you quite like to know what you're eating. I'm not a great cook but I do liking cooking simple meals. So when planning food for two on a 8-12 month long distance hike, I decided that I would buy a dehydrator and make our own meals. The idea was then to package the meals into small packets of about 2-3 weeks worth of food (the maximum reasonable weight we wanted to carry when resupplying) and ask family to send these parcels out to us periodically to collect en route either from an agreeable hotel manager or poste restante in larger towns. In addition we'd planned that when shops were available on the walking route we'd pick up walking snacks, like dried fruit and nuts and then also some fresh fruit and veggies to eat straight away. Obviously, we didn't know our plans would change quite so much and now we're travelling in relatively luxury in our motorhome with kitchen facilities and shops on route. However, having spent quite a lot of time, energy and money in making about 6 months worth of dehydrated food (30-40kg), we couldn't let it go to waste. So not knowing anyone else planning a long distance walk who might be in need of it, it's all come with us! 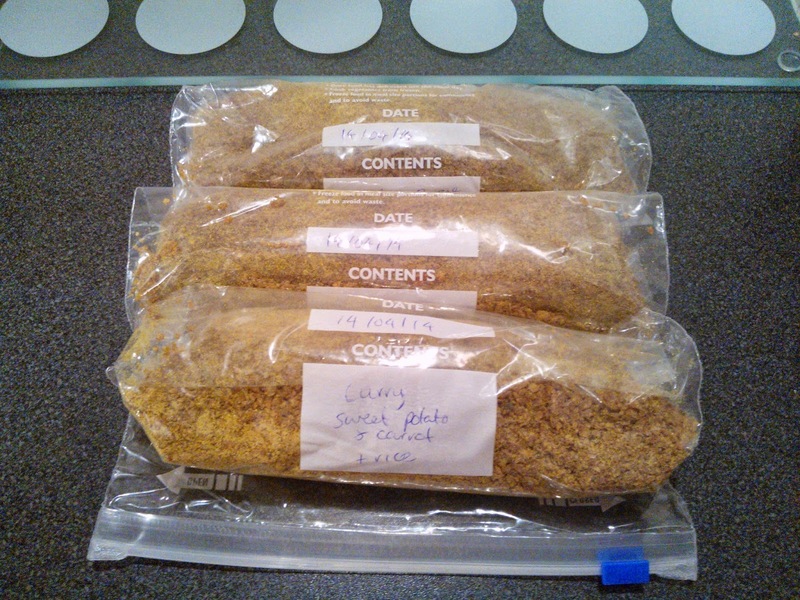 From what I've read although homemade dehydrated food in a well sealed bag and stored in air tight containers (as i have done) can have a reasonable shelf life of 6-12months or so, as we aren't in need of it before then, it would have gone to waste before we got back from our motorhome adventures. We thought it might come in handy if we decided to head North to Scandinavia as from our previous trips and from our research we knew that food was expensive there, particularly in Norway. But we weren't going to let some dehydrated food influence our travel plans. The thought of eating up our dehydrated food didn't look so attractive, particularly when looking at all the trays of fresh fruits and veggies available in the French hypermarkets and the farmer's market we had found in the Hague and were hoping to find elsewhere on the way. However, this changed as soon as we stopped off in our first Swiss supermarket. Having just crossed the border, and still having a fridge full of food, we thought we'd just check out the situation. Eek. Naively, I started filling up a basket with a few bits and bobs that looked really good to have with the salad I had planned for dinner. It's not that I didn't look at the prices but I think I just miscalcuated the new exchange rate, not having had to think in Swiss Francs (CHF) yet. I expected Switzerland to be a bit more expensive for food, but when Dan came over and had worked out the prices, everything was pretty much double what we'd paid in Euro prices, so out the items came from the basket! We did check out some other items like bread and cheese etc and these basics also seemed to be far more expensive that we had expected. 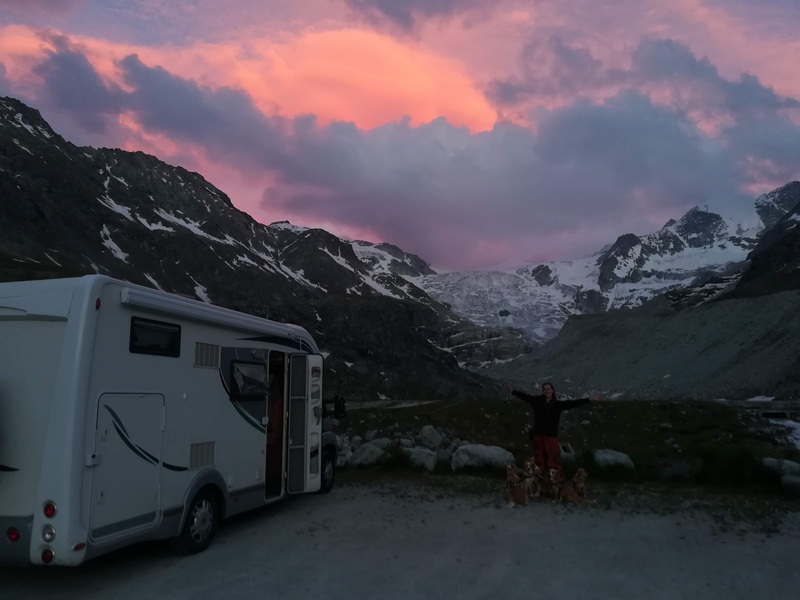 We're going to check other stores along the way as we explore Swittzerland and particularly the Valais region and I'll update this when we get a better idea. But for now, I've rationed the fresh fruit and vegetables in our fridge for the next 7 days and we've finally started to make a dent into our vast store of vegetable curries, several varieties of soups, vegetable chilli and ratatouille. Cooking up tasty rehydrated dinner in the motorhome!